The perfect balance of classic English elegance and contemporary luxury, The Landmark London offers stunning facilities and thoughtful amenities required by the modern traveler. Boasting plenty of meeting spaces and venues, fantastic in-house restaurants, and splendid accommodations, The Landmark London is the perfect place to begin a London adventure. 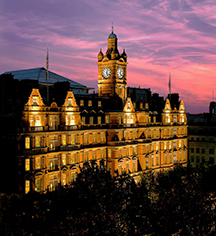 The Landmark London, a charter member of Historic Hotels Worldwide since 2014, dates back to 1899. Originally built as a railway hotel, the building was converted into a convalescent home and military offices during WWII. Cancellation Policy: Cancellations must be made 24 hours prior to arrival before 6 p.m. Extra Person Fees: All older children or adults are charged £60 per person per night for extra beds. The maximum number of extra beds/children's cots permitted in a room is 1. Parking: Self-parking: Not Available. Valet parking: Available; £40.00 per 24 hours. Payment: All forms of payment are accepted. Payment is required at time of booking. Visa, MasterCard, Amex, Diners Club, JCB, Maestro, and Switch are accepted. Rollaways: Available upon request; £60 charge. Transportation: Limo and town car service available upon request. 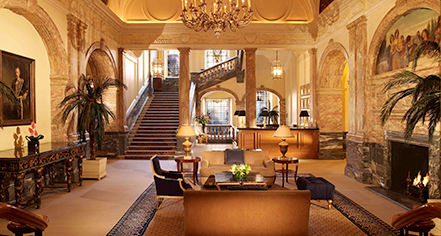 The perfect balance of classic English elegance and contemporary luxury, The Landmark London offers stunning facilities and thoughtful amenities required by the modern traveler. Learn more about the History of The Landmark London .